The new Day Home Spring Summer 2011 collection is now available. 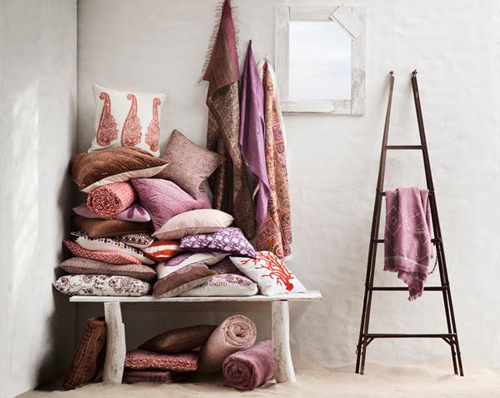 The name of this beautiful line of home accessories is Deserted Shades. 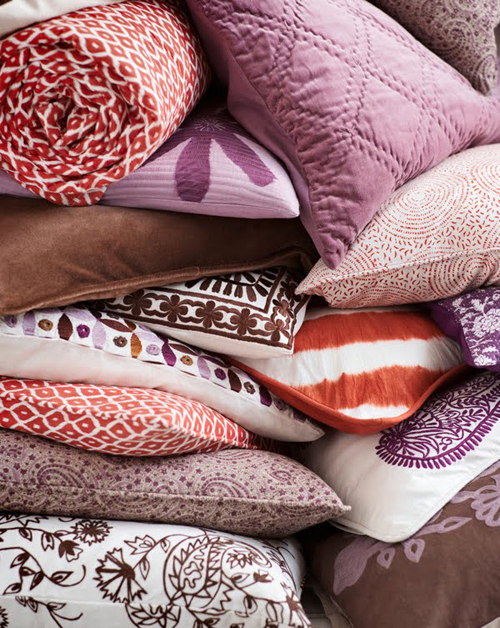 Lovely purple and pink shades, graphic pattern and use of natural materials can be found in this year’s collection. The beautiful purple tiles in the image below are not from Day but really fit well with the items in the images above. Oh, my! That last picture is unbelievably beautiful… That tile with the copper sink– so gorgeous and unexpected! I love purple and those photos are simpli stunning!! What a lovely colour combination. I rarely see that but it definitely works! The purple cushions and tiles are pretty!!! 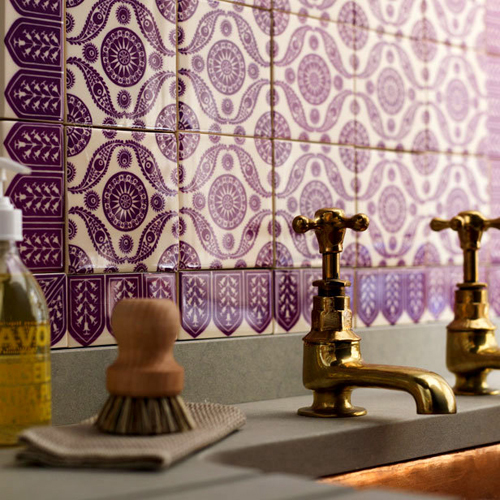 whoa, those purple tiles are stunning!! i love them! My favourite colours! Gorgeous post. Thanks! Greeat post! I am not familiarnwi that company! Thanks for always bringing new resourcesnto your posts! Those last tiles are incredible — the link doesn’t seem to work. Does anyone know the source? ?